Wondering Why Your Home Isn’t Selling? Here Are Five Major Mistakes Home Sellers Make | Joe Hayden Real Estate Team - Your Real Estate Experts! Louisville homeowners, like homeowners in other areas of the US, can find it a challenge to sell their home. In a tough real estate market, you need to do all that you can to make your house sell. This includes making sure your house is easy to sell. Here are five of the biggest mistakes that homeowners make when selling - and how to avoid them. Obviously, when a house is priced higher than its actual value, there won't be any buyers. Pricing can be a challenge for people. When a homeowner sells their house, they often reminisce about their lives in the house and then become attached. This emotional attachment can cause a person to price their house too high. On the other hand, a person who wants to get rid of their house quickly will often price their house too low. A price that is too low for the house's value can cause the seller to lose money, while a price that is too high will scare off potential buyers who have lower budgets. Whether a person's house is newer or older, updates need to be a priority for the homeowner. One of the main reasons houses have a hard time selling is because they look out of date or have become rundown. When a person is looking to buy a house, they want to buy a house that looks like it has been well kept and that there have been updates made every so often to keep up with the times. If your house is in dire need of upgrades and renovations, you are less likely to sell it. There may be one or two people in the world that will fall in love with the black paint in a teenager's old bathroom. Most people, however, will not. The fact of the matter is that most people want to buy a house that is color and style neutral so that they can make changes to the house on their own terms. Put a couple coats of a neutral color paint over the black bathroom, neutralize the quirky carpeting, and see the change in prospective buyers' attitudes about the house. When a person struggles to find a buyer for their house, it is often because the seller is not flexible on their price. If a house is worth $650,000, for example, and a seller refuses to budge by even a dime, it can be pretty challenging to sell. If a seller is flexible, and is willing to negotiate with the buyer by $25,000, for example, they will be far more likely to make the sale. If a home is in a prime location, it may be easy to sell. On the other hand, if a home is located in a place where not many people see it, there will be less of a chance for a buyer to happen upon the home. It is important for a homeowner to understand the value in advertising and to advertise in as many places as necessary. There are plenty of great advertising opportunities available to home owners who are looking to sell. Selling a house doesn’t have to be torture. 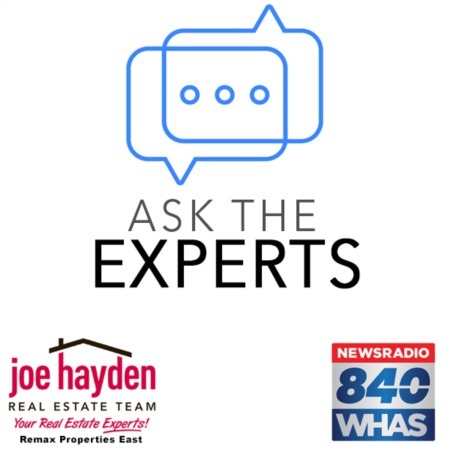 To sell a home in Louisville, a person should always ensure they have advertised properly, have priced their home appropriately, have made modifications so that the majority of people would want to buy the house, and have been flexible when a buyer makes an offer. Following these simple tips can help make your home sell as quick and easy as possible.